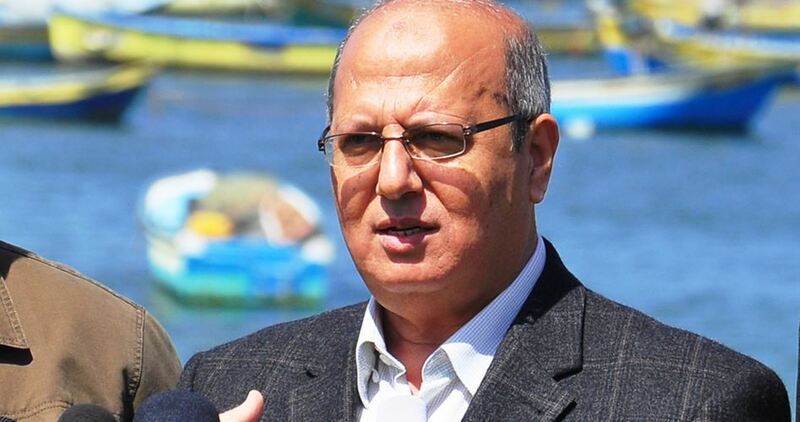 Palestinian MP Jamal al-Khudari has hailed the international donor pledging conference held recently in Brussels to support the construction of a large-scale desalination plant and its associated water supply infrastructure in the Gaza Strip. International donors last Tuesday pledged €456 million to the project (more than 80 percent of the total cost), which will make possible to start the biggest ever infrastructure project in Gaza. MP Khudari, head of the Popular Committee against the Siege, stated on Wednesday that more than 95 of water supplies in Gaza is not potable, and such project would resolve this problem and cover the large and growing deficit in the provision of water to the population. “We hope that this conference will be a springboard for more and bigger projects to end the growing crises in Gaza,” the lawmaker stated. The Syrian Coalition called upon the UN Security Council, the UN General Assembly and all other international organizations and bodies take the necessary measures to protect civilians, put an end to Russia, Iran, and Assad regime’s crimes and holding them accountable. In a press release issued on Thursday, the Coalition condemned the brutal massacre warplanes of the Russian occupation committed in rural Idlib on Wednesday. The massacre claimed the lives of at least 22 civilians, including 16 children and three women who were killed when Russian jets deliberately bombed an underground shelter in the village of Kafar Batikh where civilians sought protection from bombardment. The victims suffocated to death after a large part of the shelter collapsed on their heads, while only a woman survived. Airstrikes also targeted an IDPs camp near the town of Haas on Wednesday, killing and injuring dozens of civilians, including women, children and elderly people who fled their homes to escape the bombings. 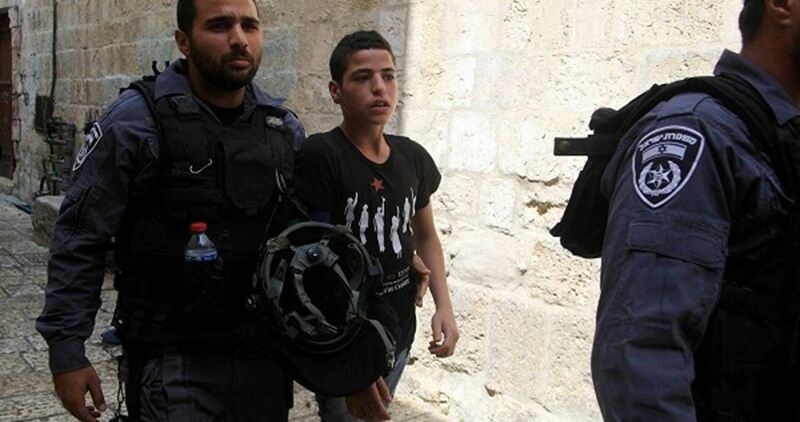 Israeli occupation police broke into Makased hospital in Occupied Jerusalem on Thursday morning and arrested a wounded Palestinian child. 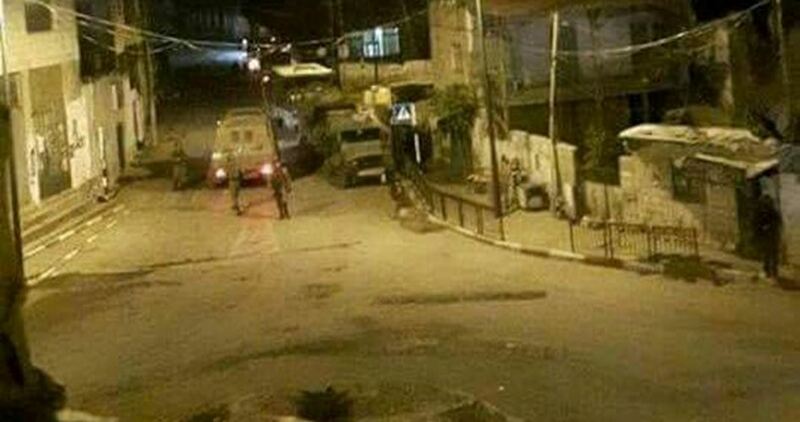 The Hebrew website 0404 reported that a police unit was attacked with rock and firebombs during a raid on Tur neighborhood to the east of Occupied Jerusalem on Friday night. 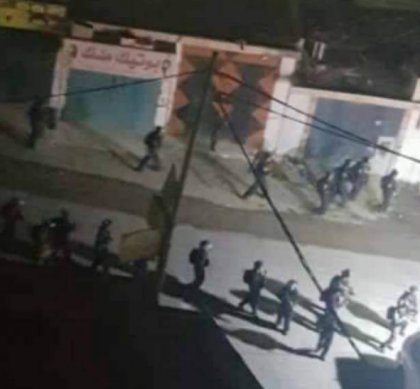 It added that a Palestinian child was injured in the confrontations that ensued in the neighborhood and was hospitalized. Quds Press, for its part, said that an Israeli police patrol broke into the Makased hospital and took away a wounded child, who was being treated there. It identified the child as 14-year-old Assadudeen Abul Hawa, adding that he is a resident of the Tur neighborhood. Today, over 130 Palestinian football clubs and sports associations called on German sportswear giant Adidas to end its sponsorship of the Israel Football Association (IFA) over its inclusion of football clubs based in illegal Israeli settlements built on stolen Palestinian land. Former Palestinian national team player Mahmoud Sarsak said:”Palestinian footballers are routinely forced to endure Israeli military raids and tear gas on our fields, denied by Israel our right to travel to matches, and have seen our teammates killed and our stadiums bombed. I was jailed by the Israeli occupation for three years without charge or trial and released only after a 96-day hunger strike and worldwide outcry. Palestinian players run this risk everyday, as they are forced to go through Israeli military checkpoints. All the while, the IFA holds matches in illegal Israeli settlements, which rob us of our land, water, resources and livelihoods. Adidas’ sponsorship of the IFA prominently places its iconic logo on Israel’s abuses of our rights. The company must immediately cut ties with the IFA. Hind Awwad from the Palestinian Campaign for the Academic and Cultural Boycott of Israel (PACBI) said: Adidas relies heavily on football league and club sponsorships to raise its brand awareness. However, being associated with the IFA as it tramples Palestinian rights will implicate Adidas in Israel’s egregious human rights violations, including illegal settlements, home demolitions, and land grabs throughout the occupied Palestinian territory. 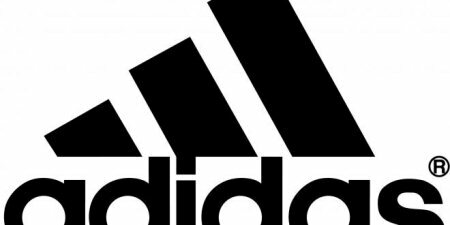 In 2016, Adidas ended its sponsorship of the International Association of Athletics Federations, regarding the doping and corruption scandals plaguing the organization as a breach of the contract. Surely involvement in Israeli settlements built in violation of international law should be grounds for ending sponsorship of the IFA. Adidas has a responsibility to do the right thing and heed the call from Palestinian footballs clubs to end its sponsorship of the IFA. Among the clubs signing the letter are the Jenin Athletic Club, the oldest Palestinian club in the West Bank, founded in 1940, as well as former Premier League champs Shabab Al-Khalil and top clubs Tulkarem and Shabab Alsamu. PACBI has also launched a petition calling on Adidas to end its IFA sponsorship as “Palestinian children and their families are being pushed from their homes” to give way to the settlements hosting IFA league matches. The Palestinian Campaign for the Academic and Cultural Boycott of Israel (PACBI) was initiated in 2004 to contribute to the struggle for Palestinian freedom, justice and equality. PACBI advocates for the boycott of Israeli academic and cultural institutions, given their deep and persistent complicity in Israel’s denial of Palestinian rights as stipulated in international law. Human rights groups accused Israeli authorities of “discriminatory policies”, as the sentencing of Palestinian teenager Ahed Tamimi yesterday prompted widespread condemnation. As part of a plea bargain, 17-year-old Tamimi, from Nabi Saleh village in the occupied West Bank, was sentenced to eight months jailtime, a 5,000 shekel ($1,437) fine, and a three-year suspended sentence. In a statement released yesterday evening, Magdalena Mughrabi, Amnesty International’s deputy director for the Middle East and Africa, accused Israeli authorities of having “no regard for the rights of Palestinian children” and “no intention to reverse their discriminatory policies”. Human Rights Watch also condemned the sentencing. Sarah Leah Whitson, executive director of the NGO’s Middle East division, noted how “plea bargains are the norm in Israel’s military justice system, which is characterised by prolonged pretrial detention, abuse of kids and sham trials”. Hundreds of Palestinian children “remain locked up with little attention on their cases”, she added. The conviction rate in Israel’s military courts in the West Bank is almost 100% – not because the military prosecution is so efficient, but because Palestinian defendants reluctantly sign plea bargains in which they plead guilty. Ahed Tamimi was arrested on 19 December 2017, after her mother Nariman posted footage online of the teenager confronting Israeli soldiers in the family’s backyard. Ahed was convicted on four of the 12 charges against her including incitement, aggravated assault and two counts of obstructing Israeli soldiers. Her mother Nariman was sentenced to eight months in prison in addition to a fine of 6,000 shekels ($1,724) and a three-year suspended sentence for assisting in assaulting a soldier, obstructing a soldier and incitement. Ahed’s cousin, Noor, was fined 2,000 shekels ($575). A Jewish Israeli man was sentenced on Tuesday to 400 hours of community service and a $2,200 fine after participating in a group assault on a Palestinian returning home from work. Daniel Cohen Shor was “convicted of his own admission in a plea bargain deal for the crime of aggravated battery,” reported Haaretz. The Jerusalem District Court judge justified the light sentence “because of the man’s personal circumstances and because he accepted responsibility for his actions”. Cohen Shor, along with five others, attacked a 45-year-old Palestinian – named only as “N.” – as he returned home from work near Al-Walaja, south of Jerusalem. The group threw stones at N., hitting him in the ribs and left ear, before beating him as he lay on the ground and racially abusing him. N. required stitches in his ear and injuries to his back and leg and required medical treatment. He also suffers from post-traumatic stress and pain, the court was told. The paper reported that the judge called the acts carried out by the group of assailants “serious”, and “carried out in various stages”. Cohen Shor, specifically, “could have stopped at any stage but he chose to remain and participate”. But the judge also “accepted some of the defence’s arguments”, saying Cohen Shor was not charged with physically attacking N. or carrying out any specific actions, “but only as a member of the group”. Israeli occupation forces have started to install a barbed wire fence along the eastern borders of the Gaza Strip, ahead of the Great March of Return slated for 30 March, Quds Press reported yesterday. 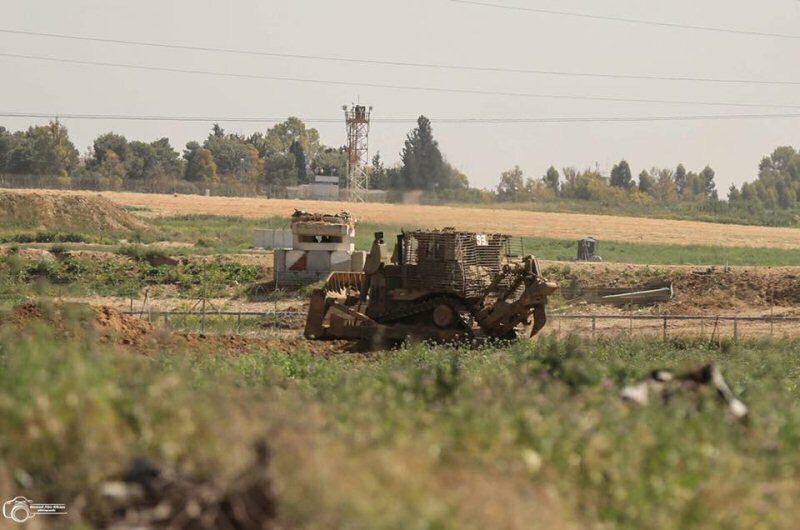 Occupation forces also levelled Palestinian land along the border and setup large mounds of sand which can be used as barricades to hinder the movement of protesters. According to the locals, the barbed wire fence is up to two metres high. Spokesman of the Great March of Return in Gaza Ahmed Abu Irtema said that the Israeli threats and measures “do not scare” the protesters, adding that they are “persistent”. Israel’s threats against the Great March of Return are “no more than a desperate attempt to abort this activity”. The Great March of Return is an annual event which is held to mark Palestinian Land Day, an annual day of commemoration for Palestinians of the events of that date in 1976. In response to the Israeli government’s announcement of a plan to expropriate thousands of dunams of land for security and settlement purposes, a general strike and marches were organised in Arab towns from the Galilee to the Negev.